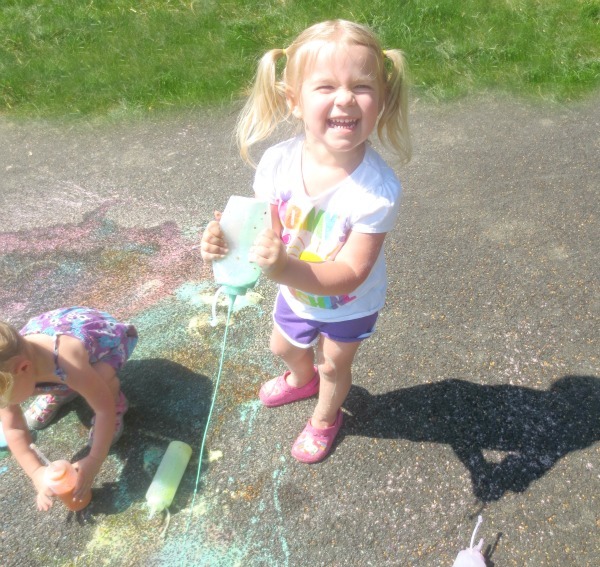 My girls love playing & exploring with sidewalk chalk during the warmer months. 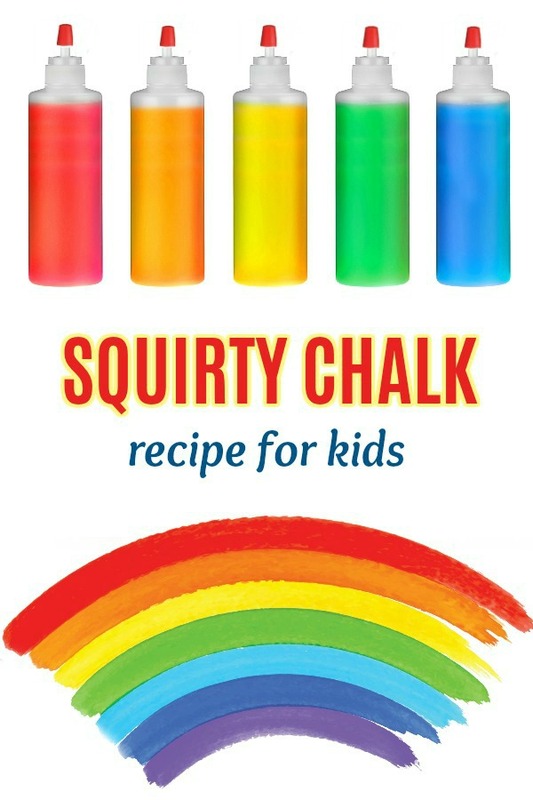 We have created all sorts of fun chalk recipes, including this easy to make sidewalk squirty chalk. 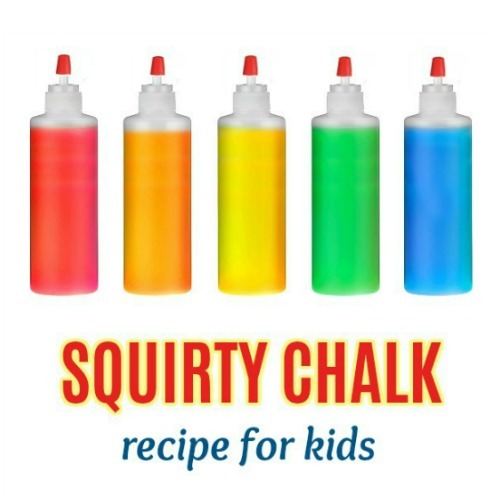 Sidewalk squirt chalk is a super fun way for kids to make large art! 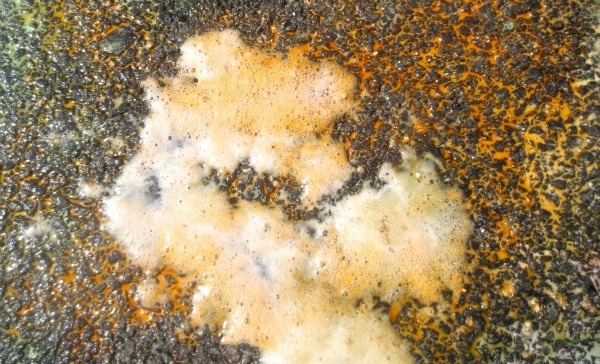 We added a bit of baking soda to our recipe for an added surprise. Read on to see why. 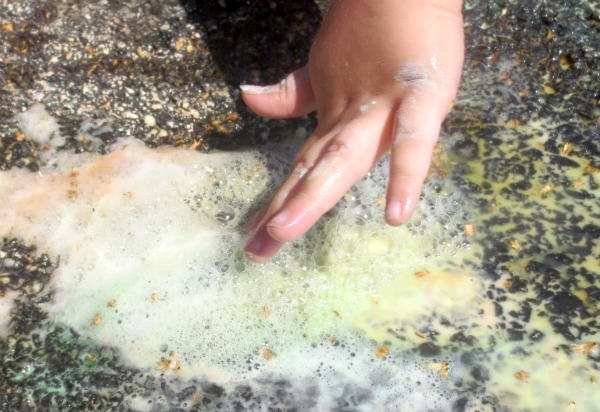 Begin by filling each squirt bottle roughly 2/3 of the way with a corn starch & baking soda mixture. Exact measurements aren't necessary; I used roughly the same amount of both ingredients. 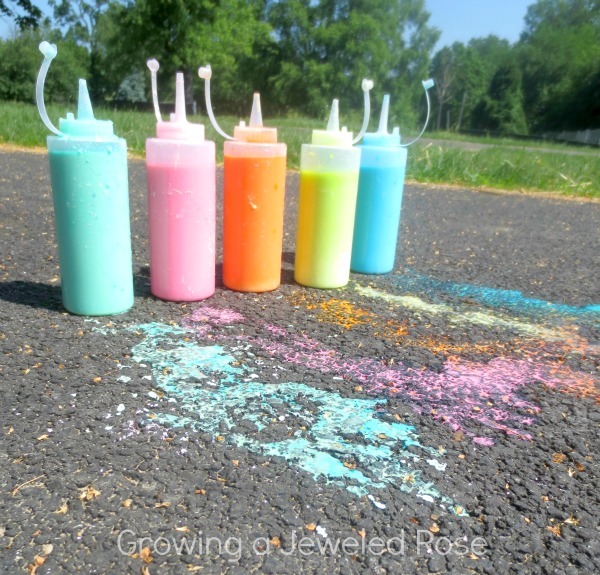 Add a few drops of food coloring to each bottle, using one bottle for each color of squirty chalk that you wish to make. 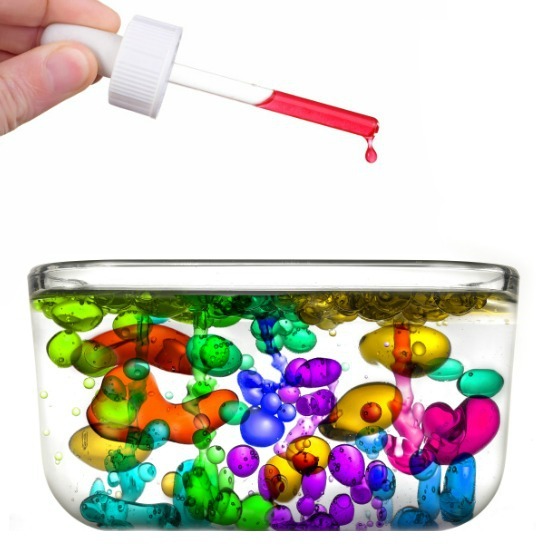 Fill the bottles the rest of the way with water. Then, use a knife or similar to stir the ingredients. 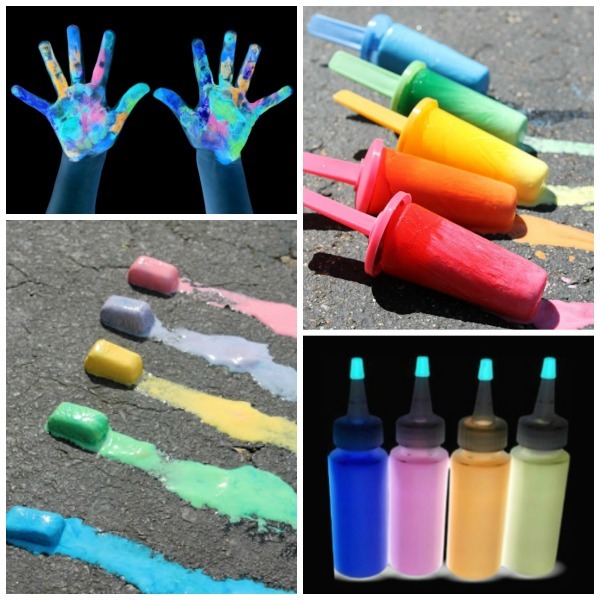 The mixture is VERY thick at first, but after a bit of mixing the ingredients will combine to make the most amazing,magic paint. 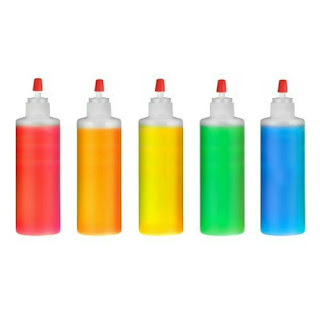 Lastly, you will want to fill a couple of squirt bottles with vinegar. 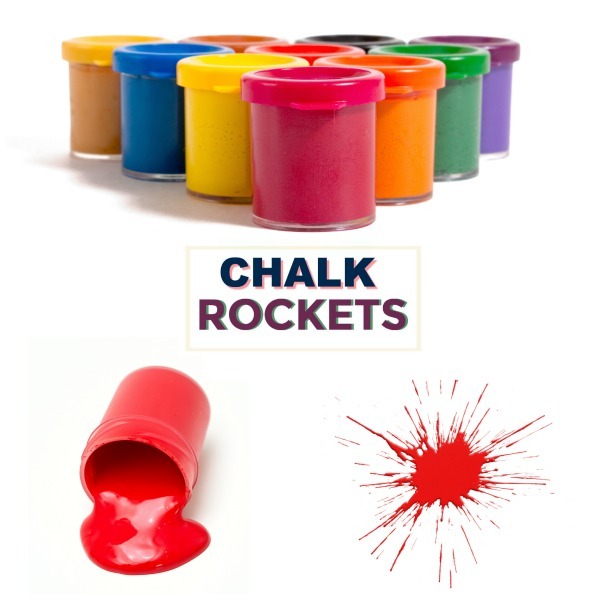 The, it is time to head outside to PLAY! 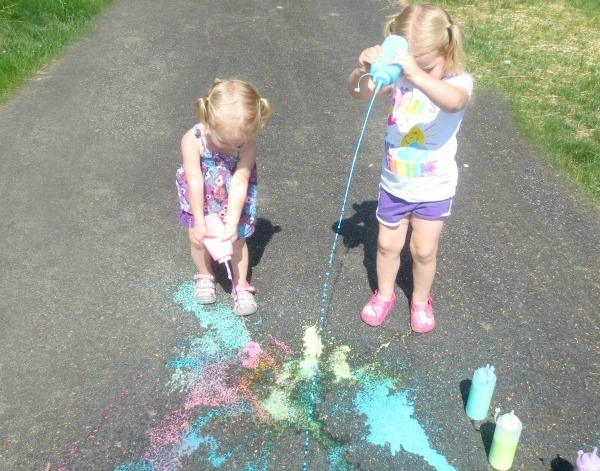 My girls were super excited and jumped right in to start SQUIRT painting. 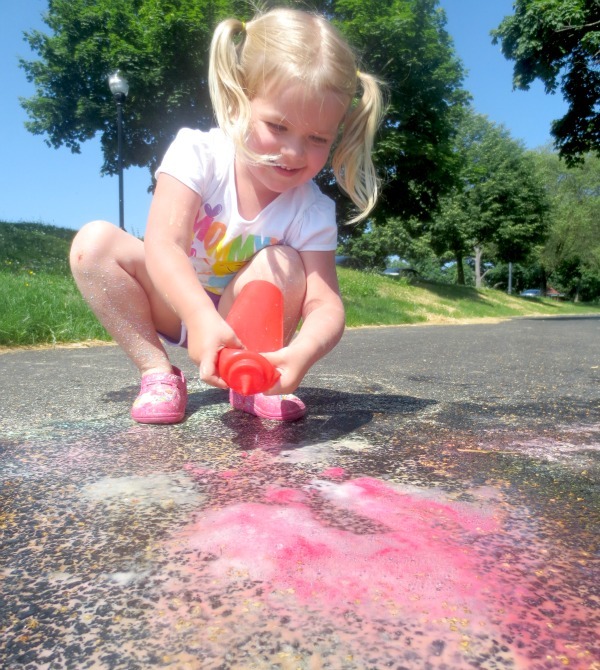 They had a blast creating colorful sidewalk art all over the pavement! 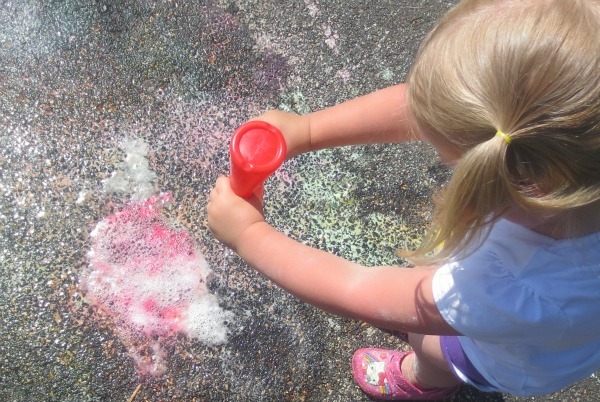 Once all the chalk bottles were empty Rosie immediately asked for more, and this is when I revealed the surprise- squirt bottles filled with vinegar! The fun then began again! 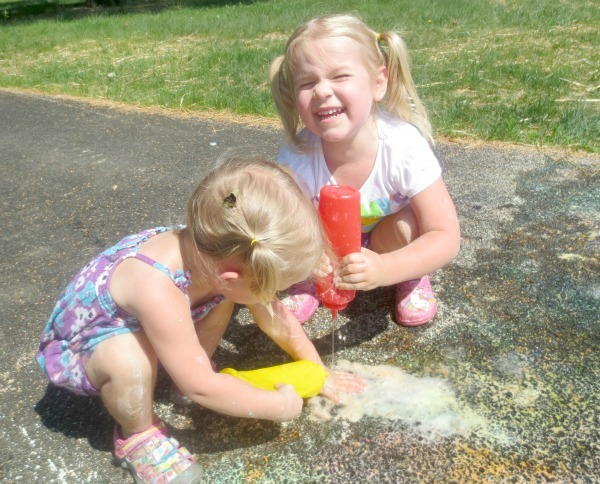 The girls had tons of fun squirting their sidewalk art with the vinegar to make their creations ERUPT. 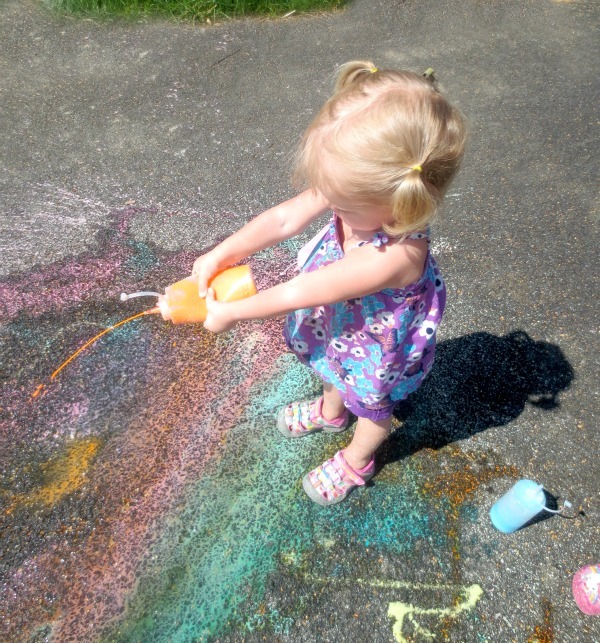 And splashing in the colorful eruptions was all part of the FUN!